Bye-bye brown spots! The skincare experts at PCA Skin have developed a line of products with retinol plus a targeted skin treatment (e.g., discoloration, acne, aging). We were very impressed with their Intensive Brightening Treatment. A potent group of key ingredients, including 0.5% retinol, niacinamide, resveratrol, and hexylresorcinol, work in combination to help even and brighten your skin tone and reduce discoloration from sun damage. This treatment is lightweight, unscented, and goes on clear. Though they recommend beginning by limiting its use to twice a week, then gradually increasing the frequency, we found that it was gentle enough for application nightly without any irritation or redness. This may be due to their patented Omnisome delivery system which protects and carries a lower dose of retinol deeper into your skin over a period of 10 hours. 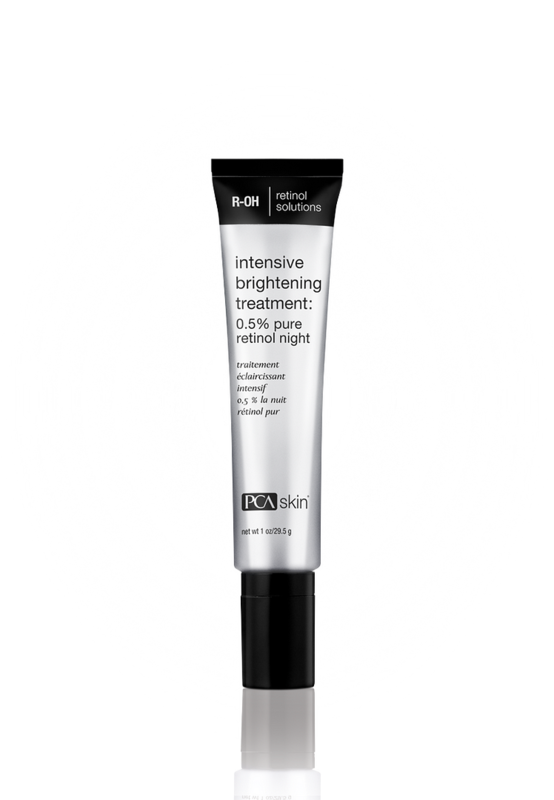 Be sure to use it only at night since retinol helps the cells regenerate and this repair takes place as we sleep. Plus, your skin will be more sensitive to the sun, so sunscreen is a must. To help counteract the damage of our sun-centered, TrailblazerGirl lifestyle, try PCA Skin Intensive Brightening Treatment.